I saw this today and had to have it. It was the best one they had out of four younger ones without any blooms. 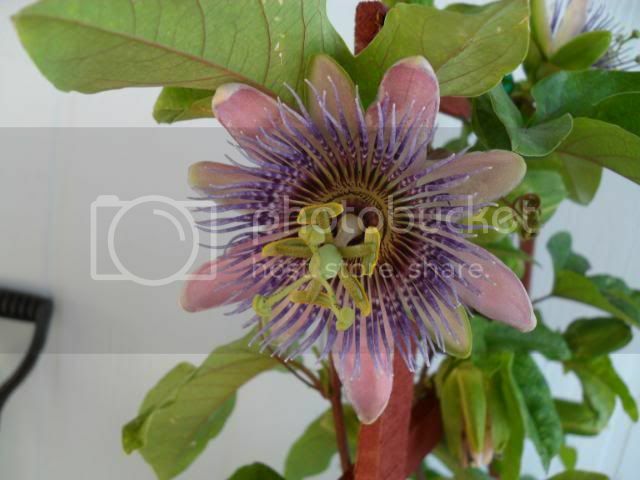 It is called a Passion Vine or Passion Flower. I hope you don’t mind me posting one that we had on our last yard 3 years ago. They are very unique. I’m sorry… I also couldn’t help myself. Wow! that is eerily beautiful! Beautiful. Looks like it came from some alien planet. wanna see my new plant? 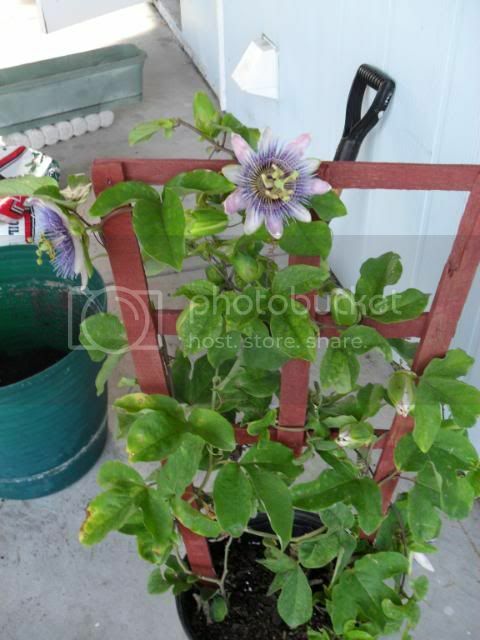 My mom calls it her passion fruit plant. 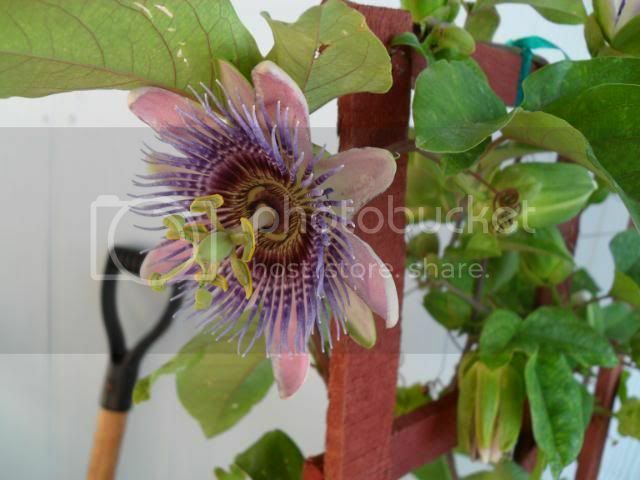 It never blooms when she is there to see it! It’s hilarious!